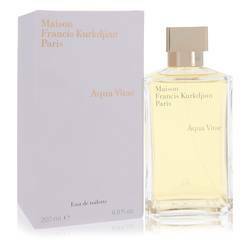 Apom Femme Perfume by Maison Francis Kurkdjian, Apom Femme is one of the earliest fragrances by Maison Francis Kurkdjian, containing bold accords of yellow floral, citrus and woodiness. 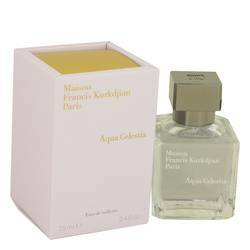 This perfume is passionate and sophisticated with bright, opening notes of African orange flower. The sweet floral scent of ylang-ylang perfectly settles in, followed by a closing base of soft, woody Virginia cedar. At the age of 15, Francis Kurkdjian knew he wanted to push the boundaries of fragrance creation Read More Read More by becoming a perfumer. After enrolling in an international school for perfumery and teaching himself the tradition of fragrance making, he found work in Quest International and eventually joined the New York office. In 1993, he created the first male fragrance by Jean Paul Gaultier called Le Mâle. He later launched his first artistic collaboration with Sophie Calle. He would continue to develop fragrances and work with collaborators until 2004 when he met Marc Chaya. Eventually, the two would create the fragrance brand in 2009. That year, they released this fragrance. All products are original, authentic name brands. We do not sell knockoffs or imitations.